2. You will see two options. 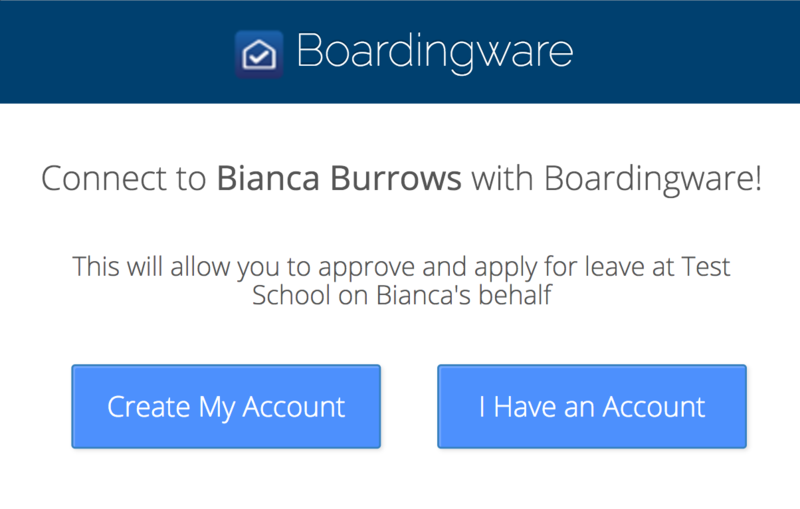 If you already have a Boardingware account select the “I Have an Account” option. If you do not have a Boardingware account select “Create my Account”. 3. 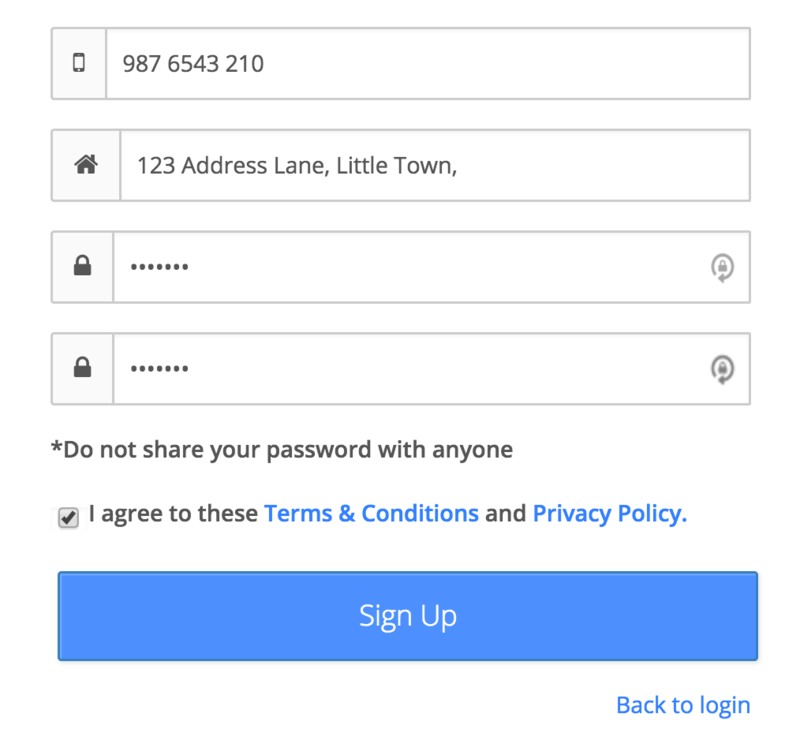 If you clicked “Create My Account” you will be prompted to fill out a sign up form.Ensure all your information is correct, agree to the terms and conditions, then click “Sign Up”. This will take you straight into your Boardingware account. 4. 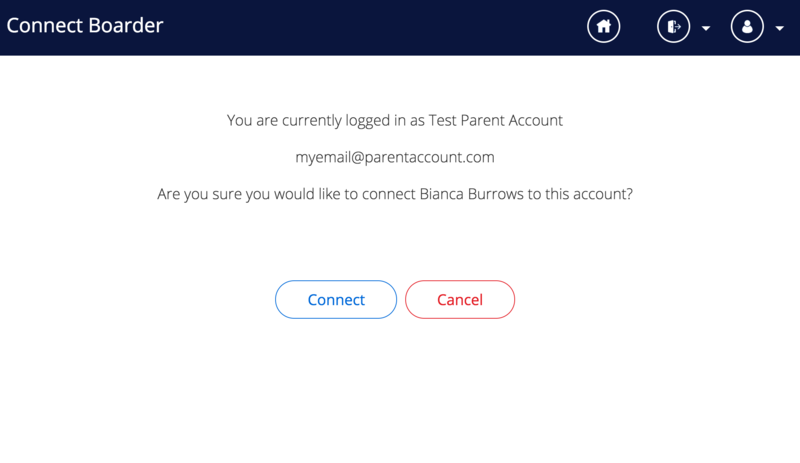 If you clicked “I have an Account” you will be prompted to log in before you can connect your account with your child. 6. Once you have completed this process. Check your “My Boarders” page to confirm that your child has been connected to your account. 1. 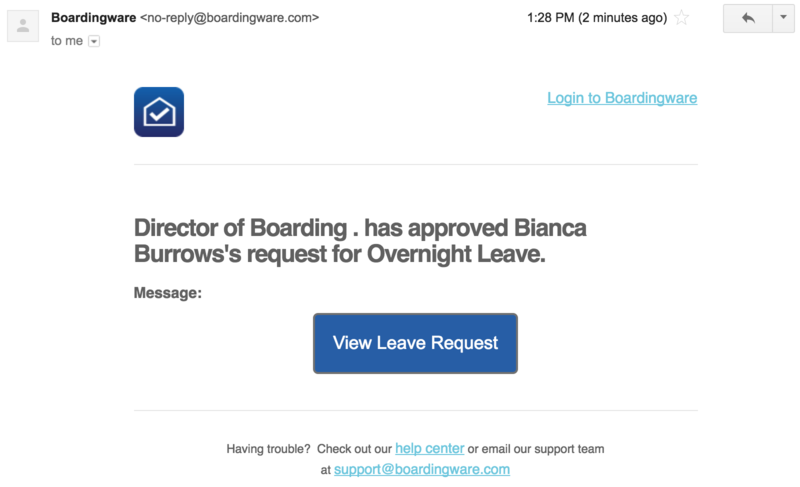 When your child applies for leave that requires your approval, you will receive an email notification asking for your approval. To review your child’s leave request, goto the “Pending Approvals” page. 2. This page will display a list of leave requests pending your approval. Select the request to view the leave details. 3. Once you have reviewed the leave details you can choose to either confirm or decline the leave request. 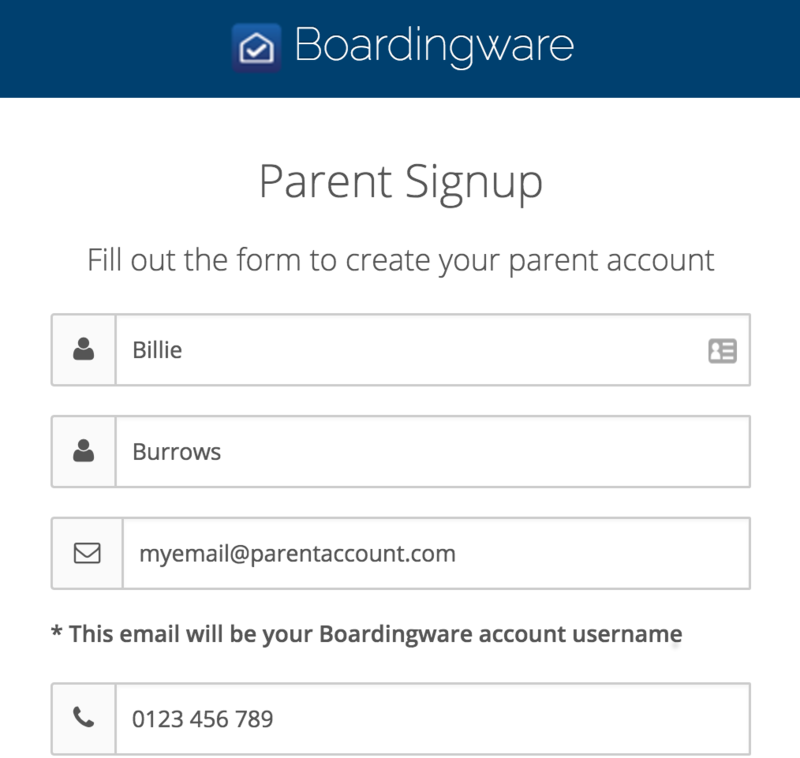 You can also add in a message which will be seen by all parties in the leave process.Your child’s school will see if you have given your permission and take this into account when giving the final approval.Once the school has made the final decision you will receive an email notification. 1. When your child requires your permission for leave you will receive an email with a link to the leave details. 2. Simply review the details and either confirm or decline the leave request.Once the school has made the final decision you will be sent a confirmation email. 1. To apply for leave on behalf of your child, select “New Leave” from the leave menu. 2. Select the Boarder and leave type you will like to apply for. Fill out all the leave information and click “Submit”. Your child and the school will be notified of your request. As soon as the school confirms your request you will be sent a confirmation email.